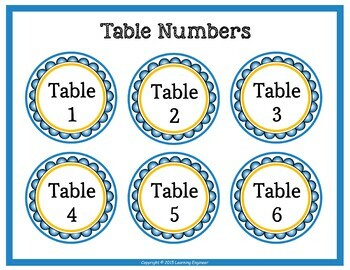 These classroom table number signs or group numbers look great hanging above your classroom tables. 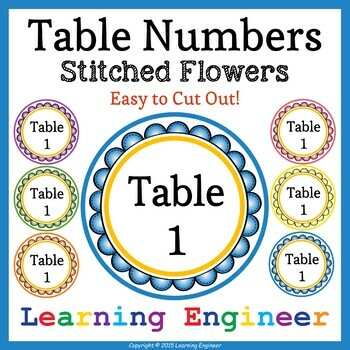 I made 1 thru 6 table numbers for each color, but if you need more table numbers, let me know : ) Many times teachers who use tables will also use crates on counters or stacked next to the student tables. I put a matching sign on the corresponding crates. 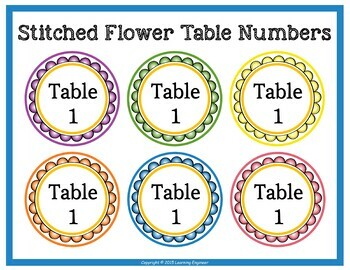 There are 6 different colors to pick from. 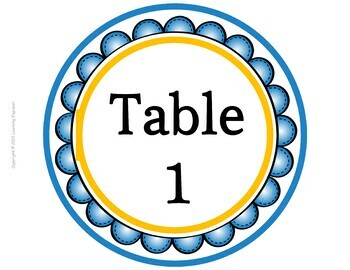 You can pick a different color for each table or use the same color for all your group numbers.